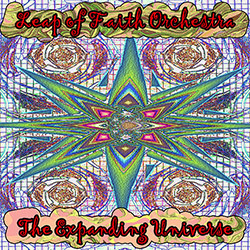 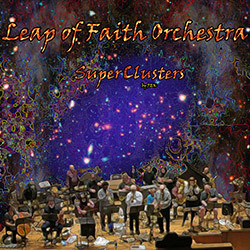 The Leap of Faith string-heavy grouping in a concert at Outpost 186 in Cambridge, 2018 with PEK on bamboo saxophones, reeds, tarota, contrabassoon, sheng, melodica, aquasonic & bells; Glynis Lomon on cello & aquasonic; Grant Beale on guitar; Lukasz Pavlikovsky on cello & aquasonic; Albey onBass on electric bass; Silvain Castellano and Adrienne Schoenfeld on double bass. 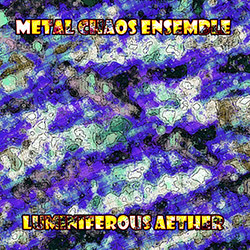 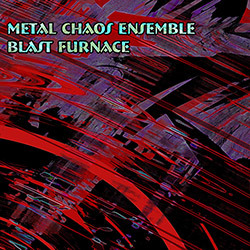 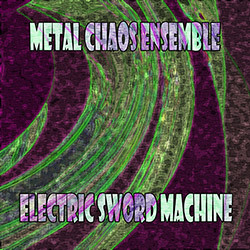 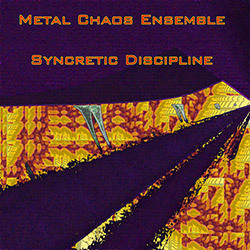 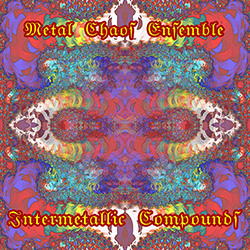 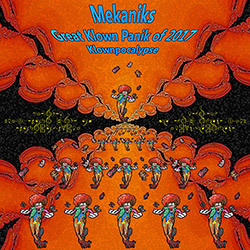 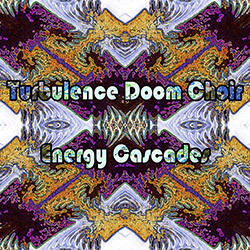 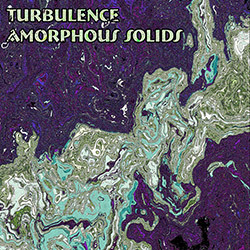 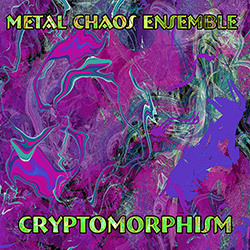 Metal Chaos Ensemble, formed in 2015 as a working project to explore rhythms on metallic instruments guided by rules-based chaotic systems of a very large number of small components, in a quintet studio recording using three dedicated drummers, reeds, electronics, and accompanying "tape" mixes, resulting in epic, inspired and wonderfully unpredictable improvisation. 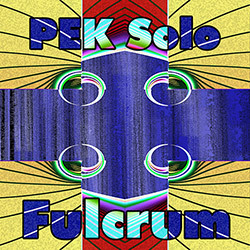 A 2019 performance in Cambridge, MA of this intertwining quintet of unique instrumentation, with PEK on bamboo & bass saxophones, clarinets, contrabassoon, tarota, melodica, sheng, aquasonic, wood, metal, wind siren, crank siren, & chimes; Glynis Lomon on cello, aquasonic, & chimes; Eric Zinman on piano; Syd Smart on percussion; and Yuri Zbitnov on drums, gong, wood, metal, wind siren, & chimes. 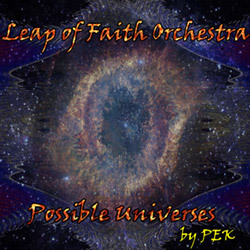 Extracting the leader from a multitude of ensembles, David Peck's solo album has him performing on tenor saxophone, bass saxophone, clarinet, contraalto clarinet, bassoon, tarota, hand chimes, accordion, [d]ronin, wood, metal, aquasonic, daxophone, Atlantis gong, plus pre-recorded mixes adding a "soloist with tape" aspect to his complex and rich performance. 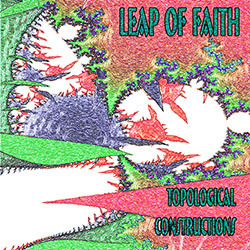 The core of Leap of Faith Orchestra--David Peck on reeds and winds, Glynis Lomon on cello, aquasonic & voice and Yuri Zbitnoff on drums & percussion-- joined by Eric Zinman on piano, recorded at Outpost 186 in Cambridge, MA, where Evil Clown has a residency on the third Saturday of each month, presenting a variation of subunits from one of their larger units. 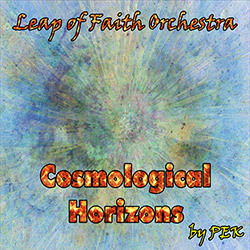 The core trio of Leap of Faith Orchestra--David Peck on clarinets, saxophones & flutes, Glynis Lomon on cello, aquasonic & voice and Yuri Zbitnoff on drums & percussion--joined by Mimi Rabson on violin, the quartet recording with the full Leap of Faith Orchestra arsenal of instruments; plus an expanded LOF recording of the Orchestra work "Possible Worlds". 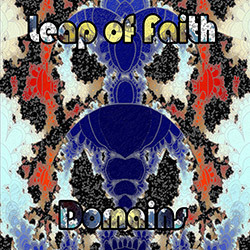 One of the core ensembles in Boston's Evil Clown collective led by multi-reedist David Peck is Leap of Faith, a uniquely inspired collective free improv band with unusual instruments and percussive devices, here in a live concert at Outpost 186 as quintet with Glynis Lomon on cello, Damon Smith on bass, Silvain Castellano on bass, and Yuri ZBitnov on drums & percussion. 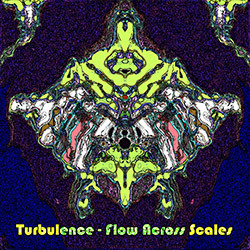 One of the Boston area's incredible, eclectic collective organizations from David PEK's Evil Clown is Turbulence Doom Choir, a quintet with three brass players, drums, reeds, and a variety of percussive, wind instruments, game calls, &c., presenting large scale improvisations of uniquely evolving approaches, instrumentation, and heavy rhythms, a powerful brew. 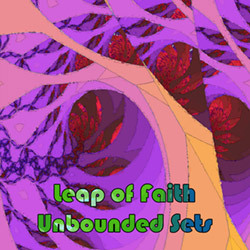 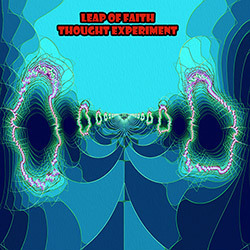 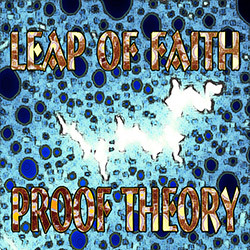 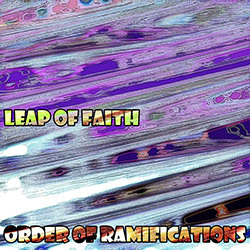 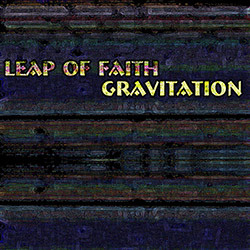 Two live recordings of the Boston area Leap of Faith quintet of David Peck (reeds and winds, percussion), Glynis Lomon (cello, percussion), Dan O'Brien (winds, percussion), Zach Bartolomei (sax, percussion), and Yuri Zbitnoff (drums and percussion), captured in Somerville in 2016 and New York City in 2017, for detailed, assertive, unique approaches to improv. 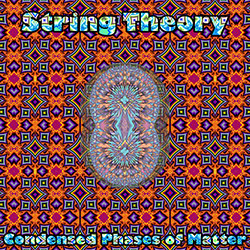 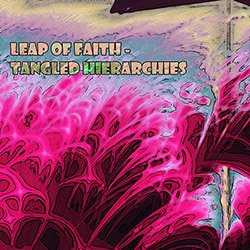 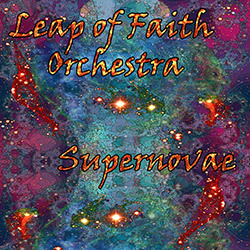 String Theory was formed as the string section for Boston's Leap of Faith Orchestra, the core being David Peck on reeds, game calls, fog horn, sirens, &c, and Glynis Lomon on cello, aquasonic and voice, with Jane Wang (cello) and Mimi Rabson (violin), creating a wonderfully assertive and somewhat skewed approach to improvisation, captured live at Mobius in Cambridge, 2016. 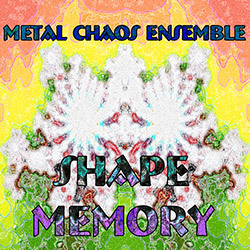 A massive and metallic improvisation from the Boston area trio of David Peck, Andria Nicodemou, and Yuri Zbitnoff, using metal, drums, bells, aquasonic, daxophone, guzheng, vibes, bells, sax, clarinet and reeds in an intense journey that absorbs the listener and then draws them into a turbulent world of active sound, receding again at journey's end; amazing.